a large permanent area for public entertainment with entertaining activities and big machines to ride on or play games on. sometimes all connected with a theme. "Not only the kids love theme parks." Hello and welcome to the latest issue of our weekly newsletter (see previous ones here. 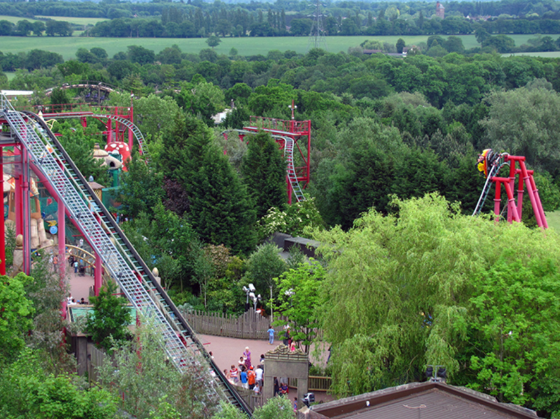 There are heaps of theme and adventure parks in the UK. We have selected those that parents have recommended on Kinfo. It is summer, the season for madcap day trips... So, hold tight, enjoy the ride. and don't eat too much candy floss! 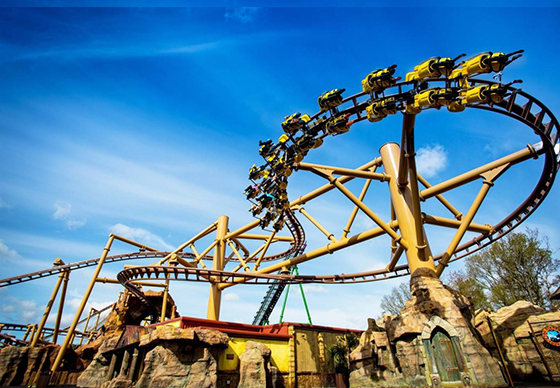 These holidays, the park has a Summer Beach Party all-singing, all-dancing programme of events, which will add to the comprehensive choice of rides (children's ones to Jurassic ones to thrill-seeking ones), gardens, and the generally great vibe of the entire spread of fun on offer here. This is where Peppa Pig lives, in the unmissable joy that is Peppa Pig World. Pay once and go all summer, which is possibly why this mum of 5 kids is tipping it on Kinfo. Falconry, Angry Birds, Mister Maker, adventure golf, treetop nets and rides for ages 1 and upwards... You could almost just move in, couldn't you? This is massive. As well as the theme park (which is 30 years old this month) and zoo (which opened in 1931) there are hotels where you can sleepover and extend your visit. 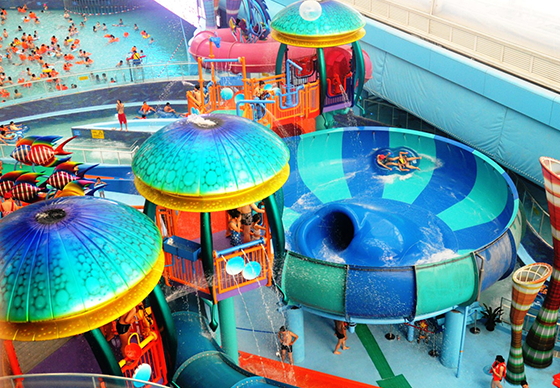 One mum of one said her son loved his school trip there, especially the Orient-themed Dragon's Falls water flume ride that drops into a dragon's mouth. She advises to buy fast track tickets, although these are expensive at weekends. 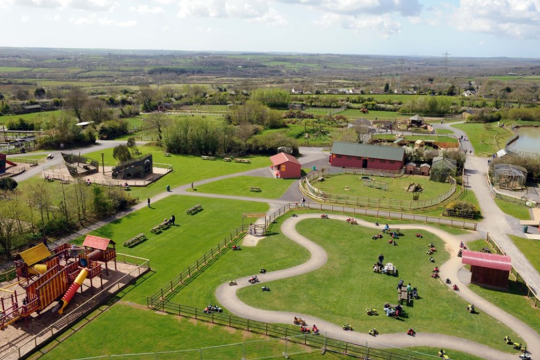 A mum of 2 recommends this fun park with nature trails, huge indoor play 'Bull Pen' and trampolines. Milk the cows! Ride a tractor! Pet the animals! Ride a pony! Then go back to the beach or to your Cornish bolthole, feeling worn out and content. Costs £36 for a family of 4. 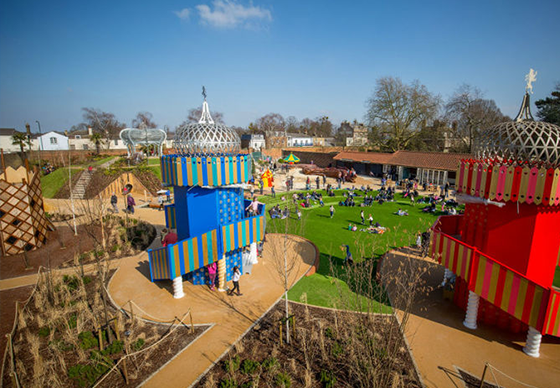 A fab day out in a compact play area for kids aged 3+, says one mum. Nestled in the grounds of Hampton Court, the annual passes have become a lifesaver to local parents. Visitors may enjoy a two-hour timed slot here – lots of climbing, a little water splashing, and the main draw, which is sliding down the fake grass hill. Afterwards, have a run around the oldest hedge maze in the country, also included in the ticket price. A mum of a one boy recommends you buy the fast-track Qbot, especially during the holidays. 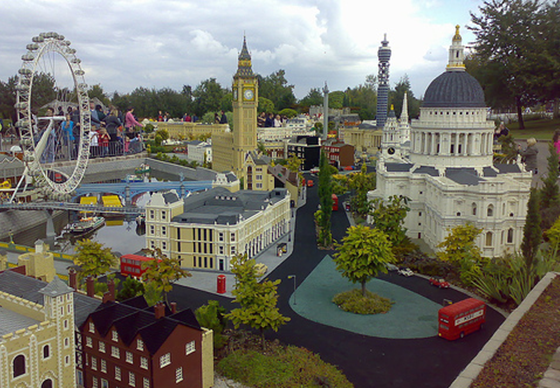 Here you can see mini London (for when real-life London feels too overwhelming or as a starter tour of the Capital for toddlers). Lots of rides, playgrounds, and impressive lego builds. Oh and there is a driving school 'ride' for kids aged 6-13. After watching a road safety video, drive electric cars, stopping for the traffic lights, details here. 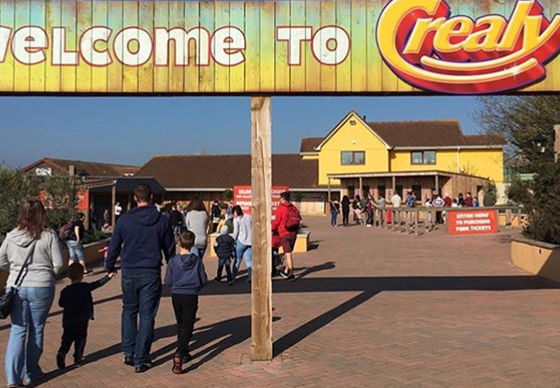 Go early to this attraction near Exeter to avoid queues, we're told by a mum of 2. Over 100 rides and attractions inside and out. But if you can't do them all in a day, then stay over in one of the safari "glamping" cabins. Buy online to save 20% entry, tickets are valid for repeat visits within 6 days. "Brilliant day out for the whole family, something for everyone. Highly recommended!" says our Kinfo tipper. 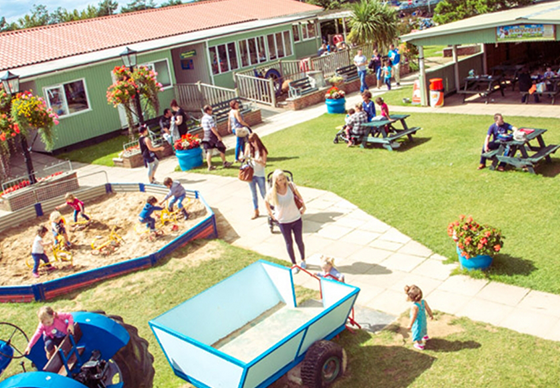 A petting Jolly Barn farm, pirate playground and over 90 animals in the zoo, all in the heart of Pembrokeshire. 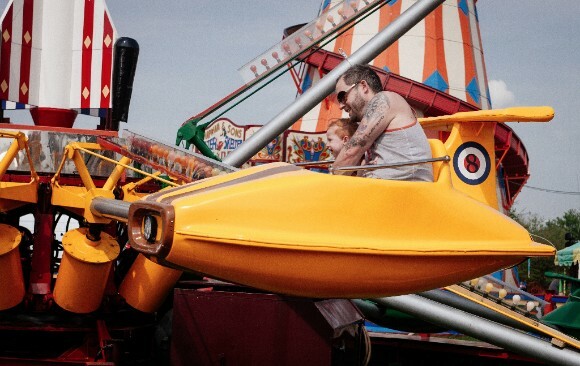 Just 50p a ride in the fairground too, now that is what we parents like to hear. HAVE YOUR KID(S) READ A GOOD BOOK? PLEASE SHARE IT ON KINFO.